This snack is the best alternative. It’s gluten-free and dairy-free and very easy to make. My sister and I threw this recipe together from scratch a few days ago. 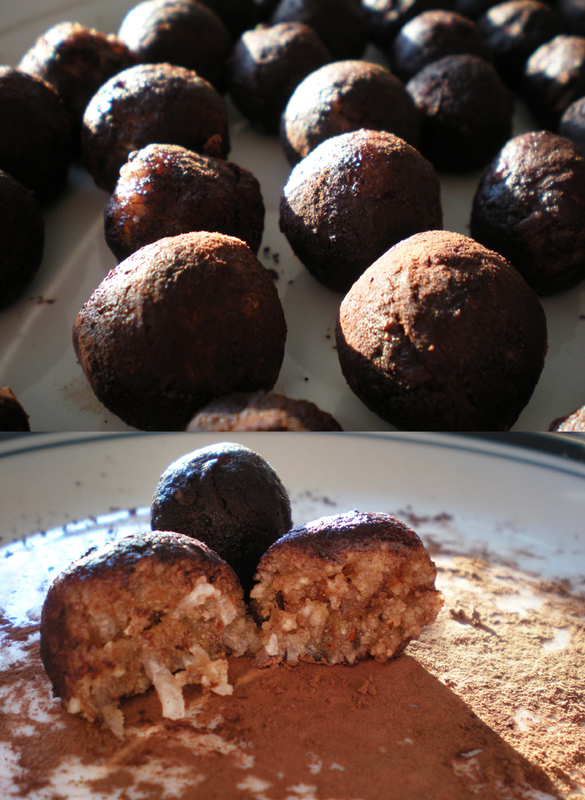 They’re filled with nuts, honey and coconut and smothered in rich cocoa powder. They’re full of flavor and very satisfying to the sweet tooth. You can use any nut you like. The first time we made them we just used almonds and flavored them with vanilla. This recipe here uses hazelnuts and almonds. We also put in whiskey this time. You can leave that out if you like. When making these, we measured everything with our eyes because they’re very easy to make, but I tried to guess the measurements for you. You can easily double it or triple it. You can’t really go wrong: Mix the dry ingredients, add flavoring, add honey until it all comes together and then roll them in cocoa powder. The bitter cocoa goes so well with the sweet honey. Go make them and tell me what you think! Refrigerate for 2 hours before devouring. 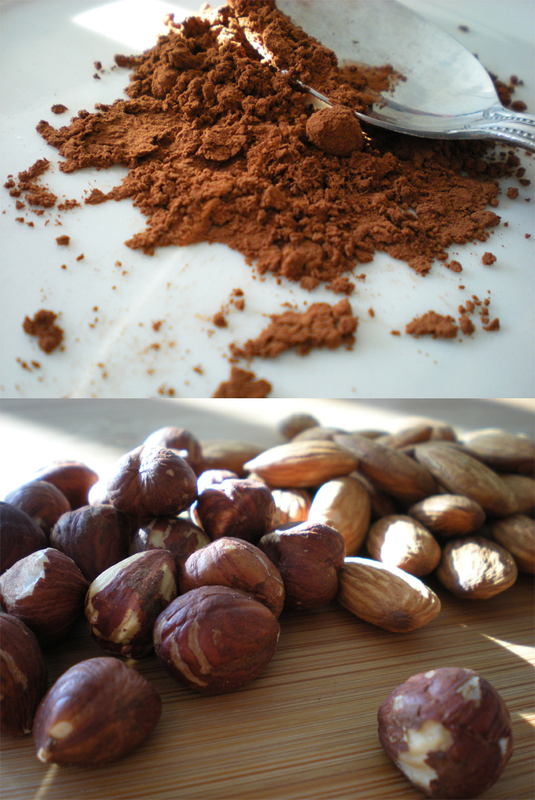 Take the hazelnuts and almonds and throw them into a blender. (A couple of handfuls of each nut will make about 1 1/2 cup of flour) Blend until you cannot see any big chunks of nut. Place the nut flour into a bowl and mix in 1/4 cup shredded coconut. Finely shredded coconut works best, but I had used it all up and had to settle for the chunky coconut. Mix well. Add in 2 teaspoons of vanilla extract to the mix and if you want to, add a tablespoon or 2 of whiskey. 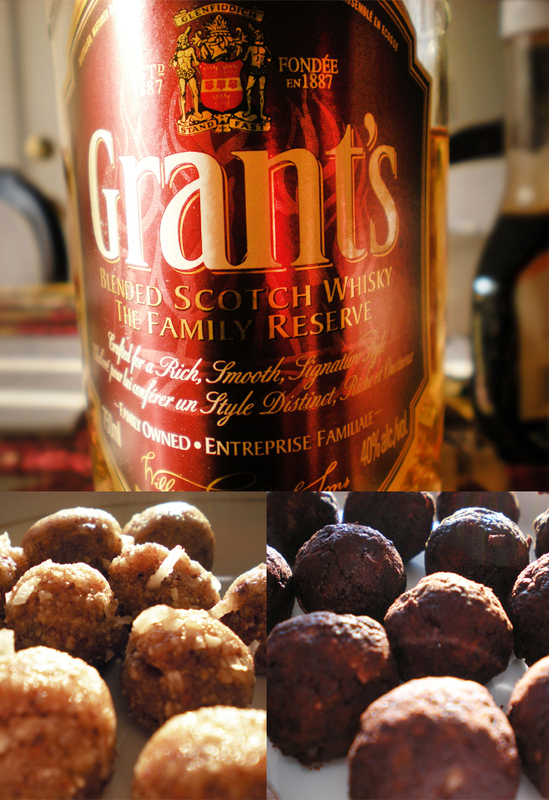 Mix well until the vanilla and whiskey are well incorporated with the nuts an coconut. When adding the honey do it a tablespoon at a time, mixing in between. 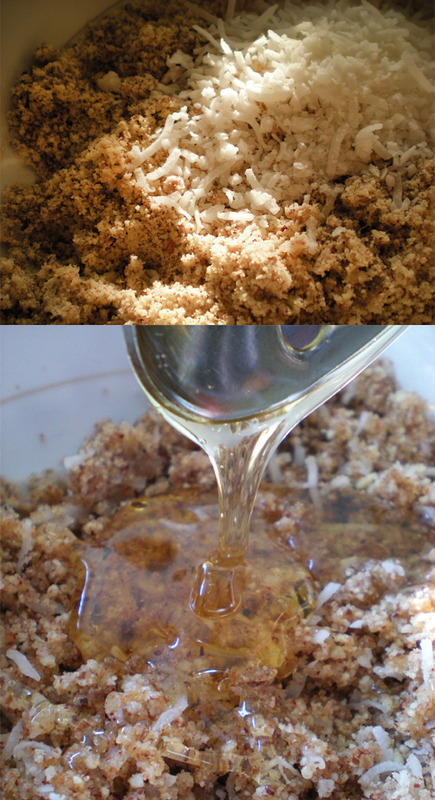 Add honey until a paste like mixture forms. The final product should be sticky but not too sticky. You should be able to easily roll it into a ball. Take out about a teaspoon of the mixture and form the paste into little balls. You could make them bigger, but they are quite flavorful and best enjoyed in small bits. 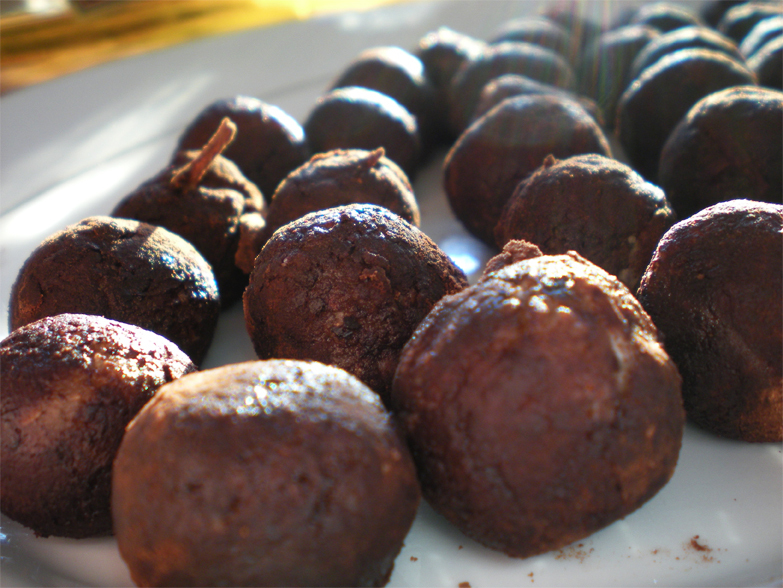 Sift some cocoa powder onto a plate and roll the balls in it until they are fully covered. Place onto a plate, cover with plastic wrap and chill in the fridge for a couple hours. Enjoy! You can’t really eat too many of these. Keep covered. *NOTE: All images on the Goodie Plate are subject to copyright. Please do not use without permission. These look so good! I am definitely going to try these for the holidays. I hope you don’t mind; I am going to reblog the link on a new page I began for reblog tastings so others can check out this and your blog! what do you want on your plate?